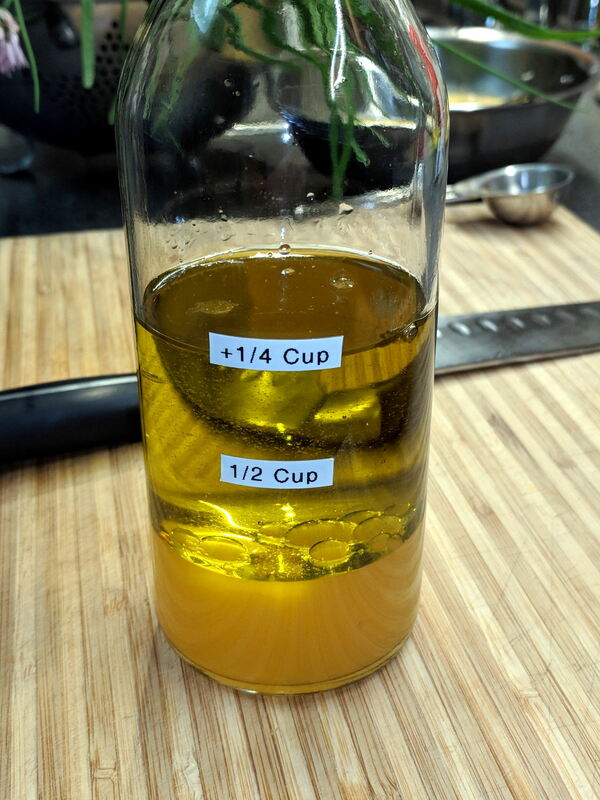 The labels align with her process: she adds ½ C oil first, then ¼ C vinegar, then various other ingredients. The liquids swirl around, sort themselves out, and it’s all good. Surprisingly, the labels survived uncounted dishwasher adventures.